The founder of Xiaomi has been given a “reward” worth more than £735m by the Chinese smartphone-maker. The payment was confirmed in the firm’s 2018 annual report. 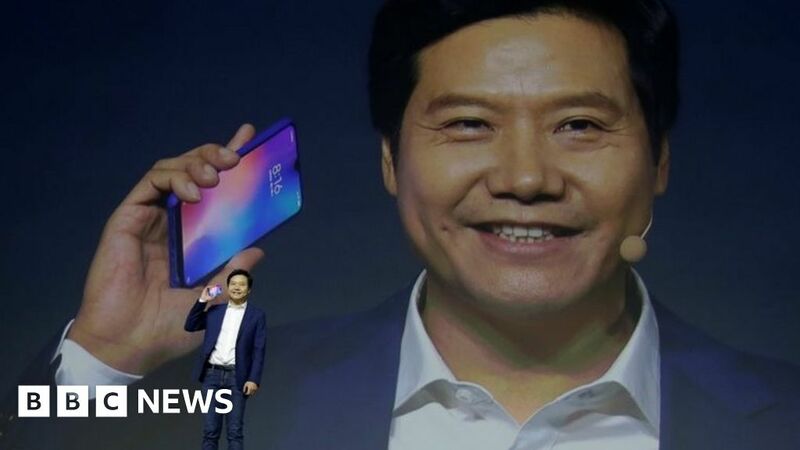 The company had previously said it intended to make the share-based bonus to Lei Jun in recognition of his eight years of “devotion” to the company. Lei in turn has promised to donate the sum to “charitable purposes” once taxes have been deducted from the compensation package. The 636.6 million shares involved were worth 7.54bn Hong Kong dollars ($ 962.0m; £735.6m) based on their closing price on Tuesday after they rose 1% over the course of the day. The amount is not far behind the 8.6bn yuan ($ 1.3bn; £980m) figure declared as Xiaomi’s adjusted net profit for the year. The payment follows the flotation of the company’s stock in Hong Kong in July. Beijing-based Xiaomi was the world’s fourth biggest smartphone maker in 2018, according to the market research firm IDC, after Samsung, Apple and Huawei. But Xiaomi remains best known for its phones. And over the past month the company has experienced problems with the launch of its latest flagship models – the Mi 9 series – which it failed to manufacture fast enough to meet demand. At one point Lei – who is Xiaomi’s president – was reported to have declared he would “go to the factory and drive the screws in myself”, if matters did not improve.